We specialize in the installation of LED recessed lighting in your home or business. AZ Recessed Lighting enjoys helping customers update their homes to today's lighting needs. We offer our customers a simple, fast, clean and professional installation with transparent pricing. We back our work with a 1 Year guarantee on our Recessed LED Lighting and workmanship. Our focus is to be fast, efficient and leave the customer happy they called on us for their recessed lighting. With years of experience in the housing industry and rehabs we can solve the problems that most would struggle with. We don't believe in giving 4 hour windows to show up. We keep our customers updated to make sure they know exactly when we are going to arrive at their house. We understand everyone has busier lives today more than ever before. So we respect and appreciate our customers business, their house and their time. LED recessed lighting in now the most popular choice for lighting. Its energy efficient, has a long life expectancy, and it has excellent color and brightness. We use an IC Rated housing that can be in direct contact with insulation. Our recessed housing are also airtight for energy-efficiency, eliminates air leakage and maintains your indoor air quality. We make sure we buy all of our products locally through suppliers and distributors. We believe that this helps with our communities, respects our state, creates jobs, and builds relationships, even if it costs us more for our supplies. Give us a call to inquire about your Recessed lighting installation requests! 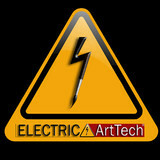 Electric ArtTech LLC is a fully licensed, insured & bonded independent electrical contractor. Based in Scottsdale, AZ, we proudly service Phoenix, Paradise Valley, Tempe and surrounding areas. We are pleased to provide excellent, top-notch, affordable, and professional creative lighting solutions and electrical service in Scottsdale and all surrounding areas. 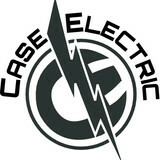 Since its founding in 2006, Case Electric has been providing honest and dependable electrical work to the valley. We pride ourselves in treating customers with honesty and integrity. We have grown solely by word of mouth because of our dedication to these principles. We know our reputation is earned, and we strive to be your go to electricians the next time you need one. Call us and give us the chance to add you to our repeat customers. We are a family owned Residential and Commercial Electrical Service contractor in Phoenix, Arizona providing quality electrical service to clients throughout the valley including the following cities: Ahwatukee, Chandler, Mesa, Gilbert, Tempe, Scottsdale, Paradise Valley, Cave Creek and Queen Creek. We also serve the West valley with cities including Peoria, Sun City, Glendale, Avondale, Laveen, and Buckeye. From replacing a single light fixture to wiring up your dreams we can do it. From troubleshooting a short circuit in the living room of your historical property to a high-tech office, our expert technicians are dedicated to working with you to implement a solution that meets your needs. We specialize in working with real estate professionals in assisting them with electrical inspections repairs. Providing you with solutions at an affordable price is what sets us apart from our competition. We also specialize in Investment properties and can help you in making code violations go away. Your project will begin with a consultation to review your needs and budget. As always, we provide free written estimates so you will know the cost before the job starts. We will work around your schedule and complete the job on time. - Meet with the client. - Provide a solution to clients electrical needs. - Test and verify workmanship. - Clean up job site. Zappo Electric strives to provide superb craftsmanship and outstanding customer service. Our professionally trained and licensed electricians give our customers the best rates without ever sacrificing quality. We're proud to offer our services in Glendale, Phoenix,Peoria AZ and the surrounding areas. At Frederick Electric we pride ourselves on providing quality service to the Phoenix and surrounding areas for more than 9 years. With 18 years of experience our locally owned and family operated business is able to produce high quality work at a reasonable prices. Instilling integrity and value in our work by committing to excellence for our customers. Econolight is a family owned and operated electrical contracting business that has been working in the valley for over 20 years. We specialize in residential remodeling- from adding a few outlets to ground up projects- but we don't stop there. We can do just about any electrical job you have around the home, including helping you figure out exactly what it is you need! There is no job too small, and we pride ourselves on the quality of our work and personal service. We are a Better Business member and are licensed, bonded and insured. Since 1985, the expert electricians at Eavenson Electric have been dedicated to reliable, on time, affordable electrical services with a 100% customer satisfaction guarantee. Our team of professional, courteous employees is committed to providing you with the best customer service and electrical repair or installation services possible. 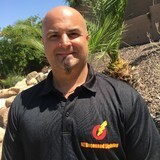 As the North and West Valley Electricians, we have the real world experience and cutting edge industry know-how to safely, yet quickly, remedy your residential or commercial electric needs. Locally owned and operated, we offer the resources of a large company and the friendly service of a smaller one. The next time you need a solid, cost-effective and hardworking electrician, give Eavenson Electric a call! Wang Electric Inc. was founded in 1981 and has been extremely successful due in large part to its emphasis on quality and customer satisfaction. With its extensive knowledge of Commercial and Residential electrical installations along with a fully staffed service department available 24/7, Wang Electric is prepared for any electrical need you may have now and in the future. Wiring Pros LLC is known for their expertise and reliability. No matter what electrical project you have in mind, we will come and get it done, all the while keeping in good communication with the customer and being the professional you expect. Full service residential electrical service provider. fully licensed, bonded and insured. Serving the Scottsdale and surrounding area since 2005. Owner has been wiring in the valley since 1992. Electrical Installation Service! Star Light Electric provides quality electrical services to Phoenix, AZ and the surrounding areas! At Star Light Electric, we offer high-quality electrical installation work for residential and commercial customers. The only way to guarantee that your electrical problems never come back is by making sure that you’re working with an electrical company that cares more about you than the bottom line. By using Star Light Electric, we care about your home and workplace, you’ll rest assured knowing that we’re doing everything within our power to fix all electrical problems and we are not just looking to take the money and run, we want to win your repeat business for life. Working with electricity isn’t generally a do-it-yourself kind of task. Small jobs, such as swapping out a lightbulb, are safe and easy enough, but intensive electrical work is better left to a professional Mesa electrician. When you consider the things that can go wrong, from fire to serious injury, hiring an electrical contractor seems like a wise investment. If you’re in need of a residential electrician in Mesa, AZ to help get your household’s electricity in tiptop shape, read the following information to help you find the most qualified professional for your job. What do licensed Mesa electricians do? An electrical contractor plans, installs and repairs wiring in structures. He or she works closely with the home’s general contractor or remodeling contractor to determine the specific electrical needs for the project and to ensure that the wiring will meet Mesa, AZ building codes. An electrical contractor’s job also includes installing and repairing fixtures, switches and other visible components of electrical systems. With today’s technological needs and advances, many electricians in Mesa, AZ also are trained to install fiber optic and coaxial cables for electronic equipment. Certain electrical companies may design and install data systems and wire for security features such as alarms too. Some Mesa electrical contractors specialize in specific areas, such as HVAC, low-voltage appliances and systems and more, so be sure to ask about their training to see if it fits your project needs. 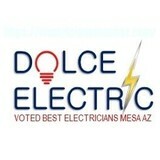 Find a certified Mesa electrician on Houzz. Narrow your search in the Professionals section of the website to Mesa, AZ electrical contractors. Here are some related professionals and vendors to complement the work of electricians: Lighting Showrooms & Sales, General Contractors, Solar Energy Contractors, Heating & Cooling Sales & Repair.